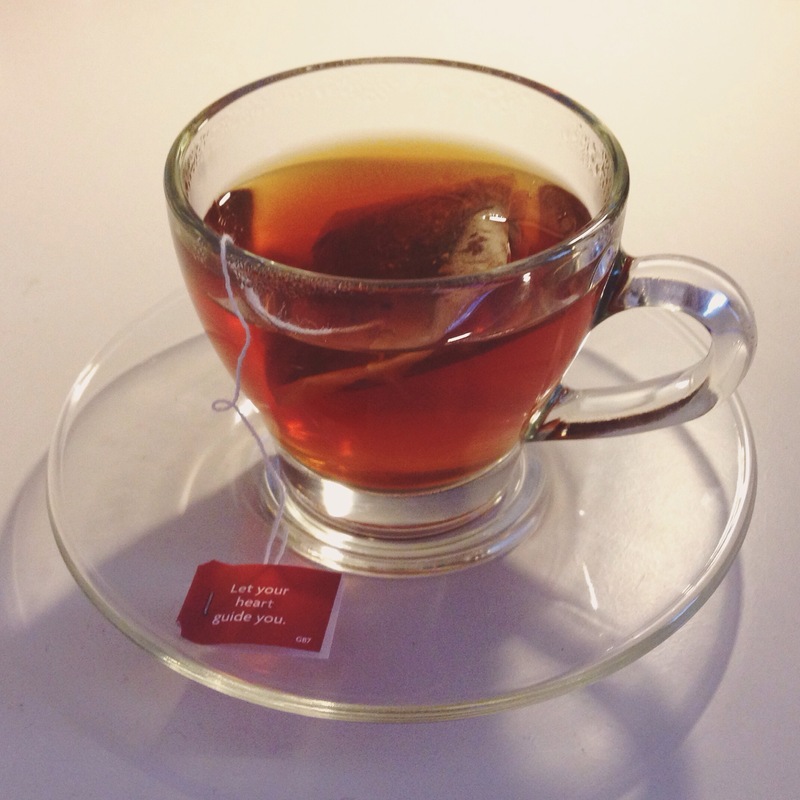 I’m a herbivore when it comes to tea – I only drink the herbal varieties. One day I just decided that coffee and black tea were doing me no favours, so I gradually cut both out of my regimen. As soon as I started experimenting with the plethora of herbal flavours and researching their medicinal properties, I was hooked. The great thing about herbal tea is it contains NO CAFFEINE. Coffee addicts not convinced? Well there are much better things in these dried herbs, spices and plants that can boost your energy, without the come down. From short-term therapeutic effects like easing digestion, to long-term health benefits like reducing the risk of cancer, the list of ailments herbal teas can remedy goes on. I always start the day with a red bush *giggle*. It’s one of the few herbals you can add milk to, so if you’re looking for a substitute for your first milky breakfast tea or coffee of the day, rooibos is your bag. Relieves stress and hypertension as it’s rich in antioxidants. Keeps your teeth and bones healthy as it contains calcium, manganese and fluoride. Balances blood sugar levels with the help of the rare antioxidant aspalathin. Great for your skin due to the hydroxy acid and zinc. This sweet yet spicy drink is perfect for keeping illness at bay, as well as soothing a cold or flu – especially if you add a dash of honey as a natural antibiotic. Boosts your immune system due to the high levels of antioxidants and zinc in the ginger and Vitamin C in the lemon. Relieves indigestion, heartburn and bloating as it helps your body absorb food better. Promotes healthy skin, hair and teeth with its rich antioxidants and vitamins. Great for weight loss as the ginger helps normalise sugar levels and improve fat absorption. You know that feeling when you’ve eaten a bit too much or been a tad ambitious with the spicy food? Enter peppermint. This is my go-to post-dinner tea if my stomach’s feeling dodgy. It even freshens your breath! Helps you digest food better as the bile flow is stimulated, while reducing digestive issues like IBS as it moves gas through the body. Eases nausea and vomiting, especially if you suffer from motion sickness. Reduces fever as the hotness of the tea causes sweating, while the menthol cools down your insides. Clears congestion, mild coughs and asthma with its antispasmodic properties. This one has a heck of a lot of curative properties. That’s because it’s an adaptogen, which means it increases your body’s ability to adapt to changing situations. Pretty neat. Increases energy and alertness – as it’s an adaptogen, it heightens your resistance and helps eliminate fatigue. Improves concentration and thinking capabilities as it’s a mild stimulant. Aids weight loss by suppressing your appetite and regulating your metabolism. Reduces risk of cancer due to ginsenosides it contains, which are believed to have anti-cancer properties. Children, pregnant/breastfeeding women and those with high blood pressure should avoid ginseng tea. Okay, I lied. It’s not technically a herbal tea, and it contains some caffeine…but it’s hailed as one of the healthiest beverages on the planet. Increases concentration and gives you more stable energy due to the combination of L-theanine and a small dose of caffeine. Aids weight loss by burning fat and boosting your metabolism. Improves dental health with the help of catechins, which fight bacteria and plaque in your mouth. Good catechins! Reduces risk of cancer as its loaded with antioxidants called polyphenols, which help suppress free radicals – those pesky things that cause ageing and disease. Bad free radicals! Helps you sleep faster and better as it contains an amino acid called tryptophan, a mild sedative. Calms stress and anxiety as it works as an antidepressant and relaxant. Treats muscles spasms, IBS and menstrual cramps with its antispasmodic and anti-inflammatory agents. Boosts your immunity – its antibacterial properties can prevent and sooth a cold or cough. Always check with your doctor before bringing a new herbal tea into your diet, especially if you want to use it to manage or heal a health condition or concern. If you experience any side effects to these teas, stop drinking them and consult your doctor.